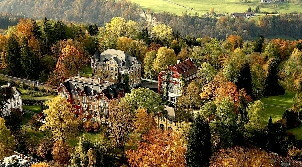 Institut auf dem Rosenberg is an international boarding school in Switzerland, with a convenient location less than an hour from Zurich between Lake Constance and the Säntis mountains. Founded in 1889, this co-educational boarding school has a long history of providing an outstanding education in the broadest sense. 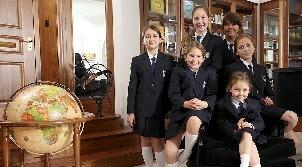 The philosophy of the school promotes independence and academic excellence, as well as fostering community spirit, resilience and social skills among its pupils. 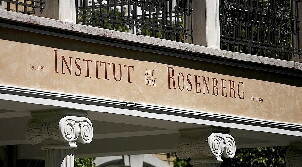 One of the key strengths of Institut auf dem Rosenberg is the choice of academic programmes. The school is divided into sections, and pupils can follow German, Italian and Swiss secondary education programmes as well as British A-Levels or the American high school diploma or AP courses. 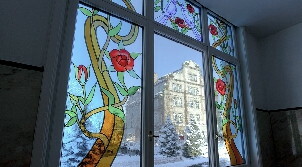 One of the best schools for bilingual education in Switzerland, Rosenberg also offers intensive language courses leading to the Cambridge, DELF and Goethe certificates. These courses focus on integrating students into one of the school’s regular programmes. Students are also offered support and assistance for post-secondary education, through the college counselling service. Boarding pupils are housed initially in College House, and progress to more independent living in separate Girls’ and Boys’ Houses after the age of 14. Young people are encouraged and supported to develop a sense of community in their boarding house, teaching them invaluable skills about communication, resolving conflicts, negotiating relationships and respecting different cultures. Free time and sport activities balance out a demanding school day. St.Gallen’s geographic location makes for an optimal free-time programme, thanks to the proximity of cultural highlights in Lucerne, Zurich and further afield. Pupils can also participate in sports tournaments, winter ski trips, summer mountain adventures, visits to art exhibitions and student clubs.